The answer was simple: priorities. 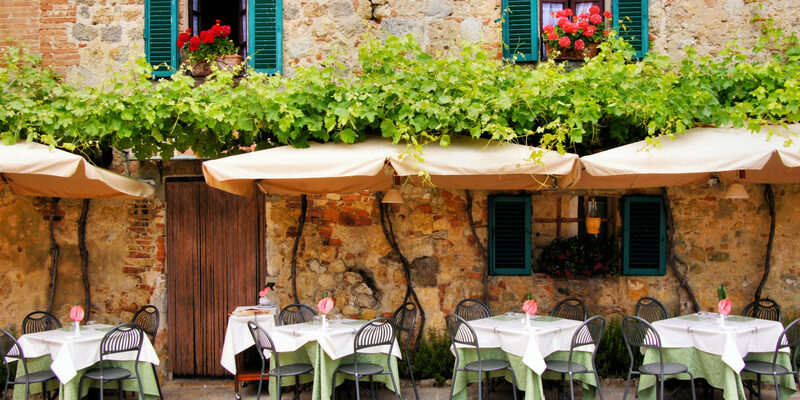 Instead of stressing about jobs, relationships or any of the myriad issues that cause daily anxiety, Italians discovered long ago that life is infinitely better if you simply slow down and savor a good meal. During our honeymoon in Italy, we discovered firsthand what it was like to live by that philosophy. After all the stress, planning and, of course, dieting that went into our wedding, my wife and I were ready to focus on one thing: shoving great food into our faces. As we explored Italy, the mecca of gluten and dairy, we were determined to find the perfect bite of bliss. Our first stop was Italy’s historic capital city. After taking in some ancient sites and the magnificent pageantry of the Vatican, we were hungry. So we headed to the hip Trastevere neighborhood and Hostaria la Botticella, a charming hole-in-the-wall restaurant that looks like it hasn’t changed in 60 years. After sitting down at a table tucked away in the cobblestoned alley, we ordered a few Roman specialties: delicately fried artichokes and pasta alla gricia. 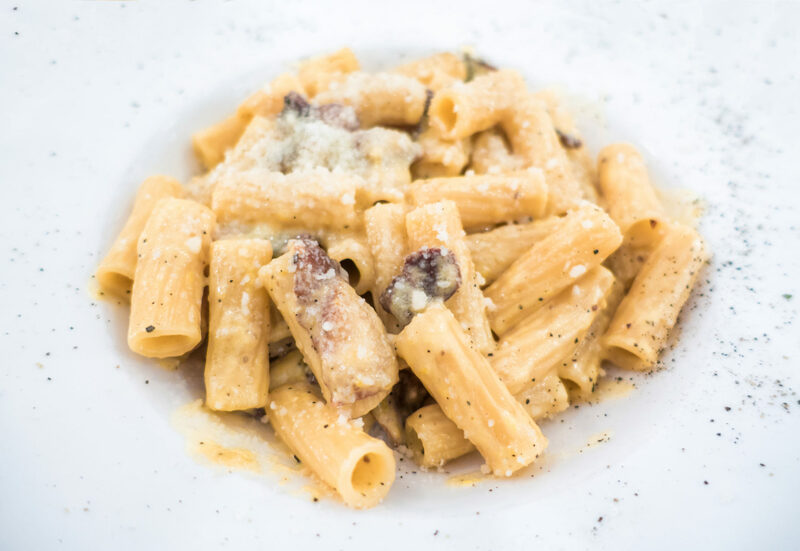 The pasta was incredibly satisfying, featuring cylindrical rigatoni tossed with butter, pepper and thick-cut guanciale (a smoky, rustic Italian cured bacon) — and finished with a pungent parmigiano reggiano that tied the whole dish together. I crave it to this day; in fact, I think I love this pasta almost as much as I love my wife. If Rome is Italy’s heart, Florence (our next stop) is its soul. The majestic city expands outward from the Ponte Vecchio and the banks of the Arno, and its storied streets harbor some of the world’s greatest art: from the David at the Accademia to the Caravaggios at the Uffizi. But the greatest work of art we found was the cacio e pepe at the unassuming Trattoria 4 Leoni in the Oltrarno neighborhood. Thick, hand-rolled spaghetti called pici was slathered in a creamy, decadent sauce of nutty aged parmesan and complemented perfectly by a sharp and fragrant snap of pepper. But the element that totally blew our minds? The pecorino ice cream that topped the dish. Yes, you read that right. Piquant and smoky, it melted into the pasta to create a gooey goodness that was at once chewy, creamy, hot and cold. We were literally speechless. Make reservations. Many Italians tend to book a table and occupy it for an entire night. Having knelt at the altar of the pasta gods and declared our allegiance, we wanted to indulge even more. 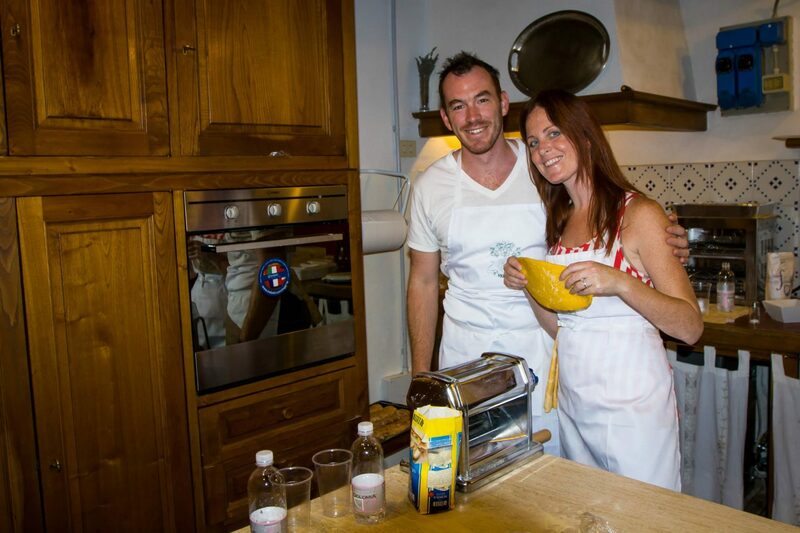 So we drove into the Tuscan countryside and enrolled in a cooking class at the Relais Vignale. After a night of drinking an absurd amount of Chianti, we arrived in the kitchen bleary-eyed and ready for carbs. The chef spoke very little English, but we came to understand each other through a mutual respect for the noodle. To make pasta, we formed a volcano of flour filled with eggs and combined it into dough, which we rolled out and hand cut into tagliatelle. Then it was on to assembling a traditional bolognese: finely diced onion, carrot and celery, a bit of tomato paste, pork, beef and a generous pour of — you guessed it — more Chianti. When we finished cooking, we devoured it all outside under the Tuscan sun, dreaming of leaving our old lives behind and somehow turning into Italian grandmas who rolled pasta all day, every day. The best time to visit Italy is the spring or fall, when it’s not too hot or crowded. The cities are all accessible by train, but to fully experience the nooks and crannies of Tuscany, you’ll need to rent a car. Many people don’t know that the residents of Tuscany are obsessed with grilled steak. We went on a mission to unearth the best steak Florentine in the region, and we found it at La Officina della Bistecca. 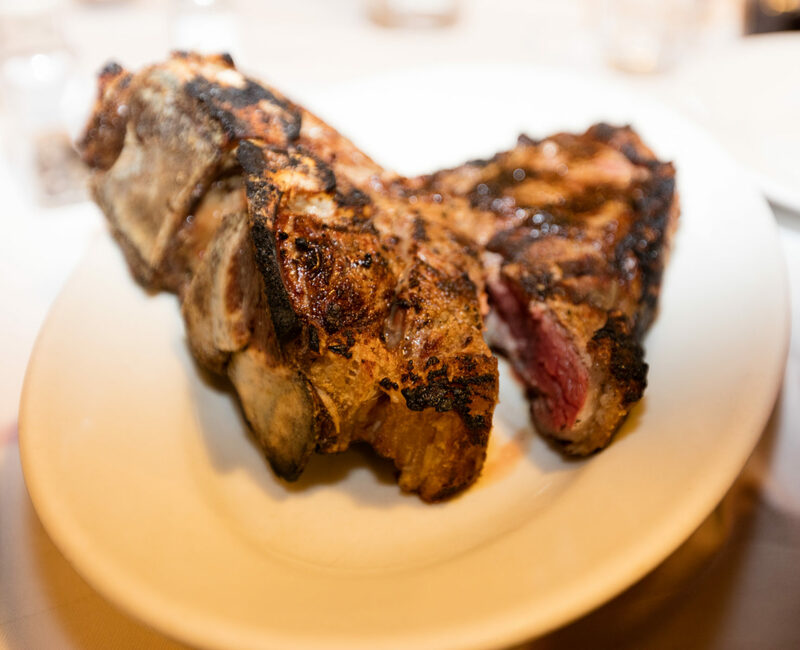 The multi-course dinner event served up different cuts of Tuscan steak grilled over coals under the expert eye of butcher and beef expert Dario Cecchini. Cecchini runs the dinner out of his shop, the Antica Macelleria Cecchini (which means the Old Butcher Shop of Cecchini). When we arrived, the staff quickly shoved drinks in our hands and pointed us toward mounds of charcuterie. Cookbooks and jars lined the shelves, and a display case showed off gorgeous cuts of meat. Soon, we were ushered through the kitchen and into the back patio, where we were seated at long communal tables. Eventually, Cecchini himself appeared. We discovered that he’s everything you want a steak-obsessed Italian chef to be: loud, charismatic and ridiculous. He delivered a short, impassioned monologue in Italian about each cut of beef before serving. Even though we didn’t speak the language, the message was clear: This was some really great steak. The one thing he did say in English was “To beef or not to beef?” We chose to beef. While we feasted, the wine flowed. Fortunately, we ended up sitting next to a Canadian sommelier and an Italian winemaker who were more than eager to share their bottles. As the night wore on and the bonding intensified from table to table, we burst into song, trying to outdo each other. At the end of the evening, we said goodbye to our host and to our new friends, vowing to return as soon as possible. We obsess over food, not always because of how it tastes, but because of how it makes us feel. Satisfied. Safe. Connected. Content. We found all of that in the kitchens and at the tables of Tuscany — and throughout Italy. Unfortunately, Cecchini wouldn’t let us move in. But we snagged a placemat from his shop, and it hangs in our kitchen to this day, reminding us of a truly spectacular trip that exceeded our expectations on all counts. Find your perfect pasta dish during a culinary tour of Italy, available through the Marriott Vacation Club DestinationsTM Program.